They say to never work with children or animals; and yet, many of the most fun experiences in life and memorable pictures are with kids or pets, or even kids with pets! Well I have photographed fashion lingerie and luxury swimwear with poodles, blogger vivalaViv with Holly the very cute and fluffy Pomeranian, but I had never until this fashion assignment worked with kids. Well portraits yes but certainly not with youngsters as fashion models. 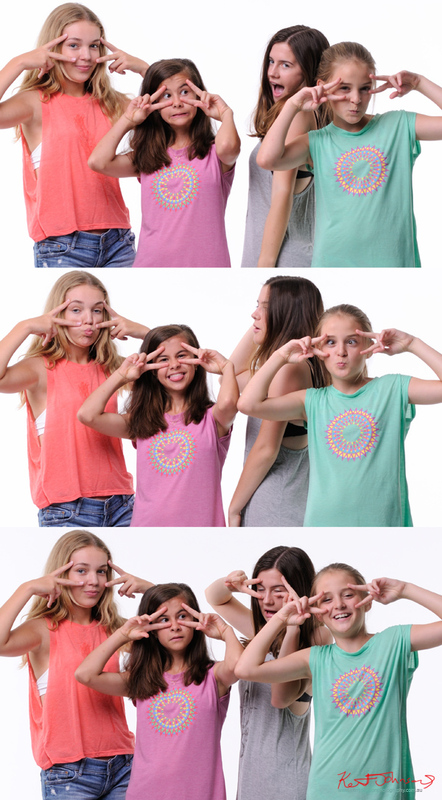 In fact it was the first time on a photoshoot for all the girls except Charlie, (left just below and most outgoing) for whom I had made a casting portfolio for, photographing on location. 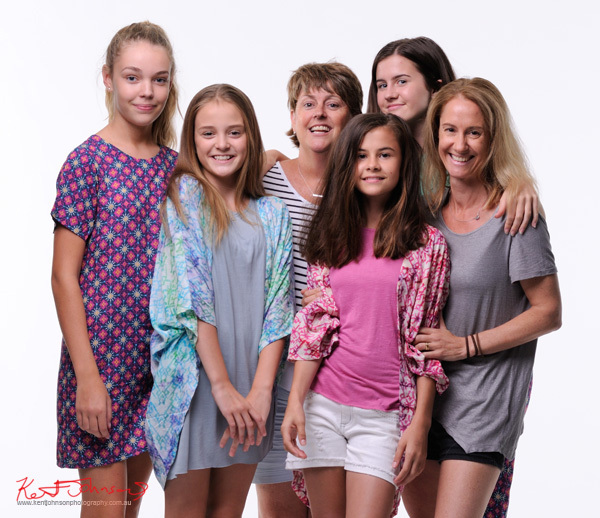 So here we were, two teens and two tweens; two mums about 12 or so outfits and a four hour studio shoot. You can read more about the shoot from the designers perspective here on their blog post called Lights Camera Vision! (Thanks for the kind words). 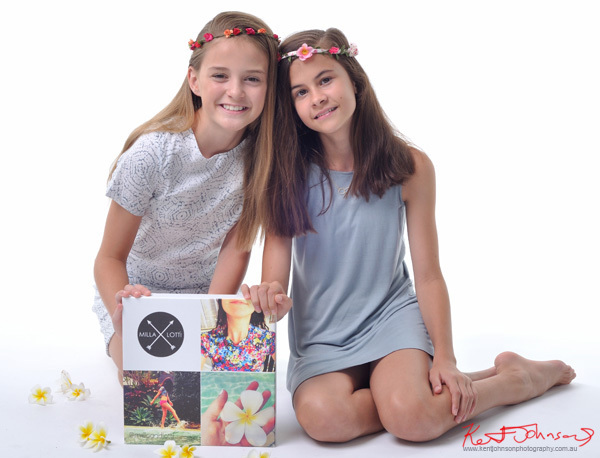 The shoot went smoothly, the girls had a great time and from a technical/performance point of view, there was very little to do by way of post processing due to the careful set up for the white background, studio lighting arrangement. As a result, these pictures below are completely un-retouched, the RAW files have been put through a simple automated adjustment to bring up the background a wee tad more, and I find the RAW converted files are always a bit crisper too! And for these girls I think a half day on set was just right, the energy and focus stayed mostly on track and we were 'done' before anyone got bored. 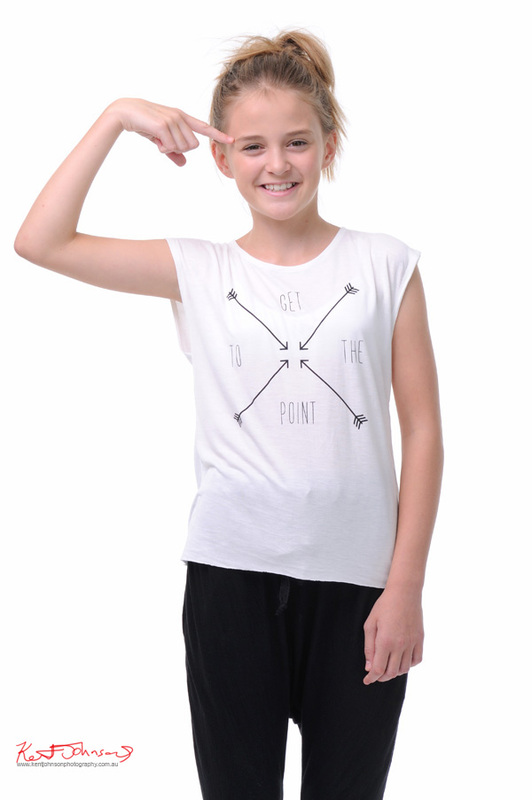 So that's my first 'kids' fashion shoot done and dusted, and now I am looking forward to my kids fashion assignment. 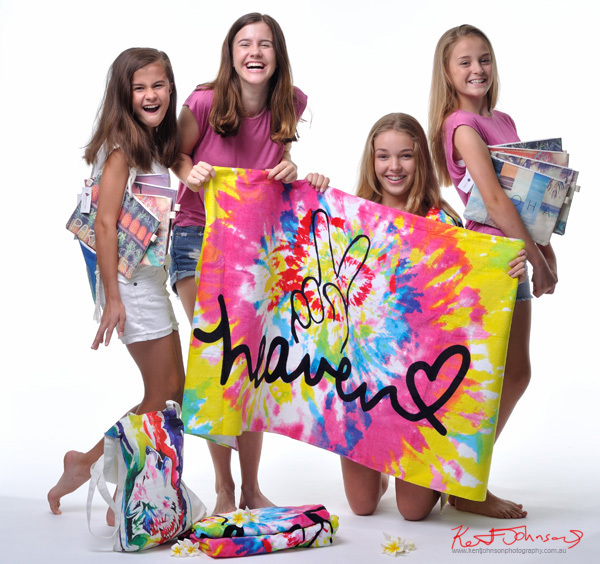 Looking to photograph your Teen kids or toddlers fashion range? Call or email me, kent@artcommunication.com.au Sydney, 0433 796 863.